The UCS report, “The Nuclear Dilemma,” proposes that we single out “safe” but financially ailing nuclear plants and subsidize their operations, so that they might remain open — thus avoiding additional carbon emissions from coal or natural gas plants that might replace them. America gets about 20 percent of its electricity from nuclear power, but only 17 of the 99 reactors that generate this power are unprofitable, according to UCS. Those reactors account for just 3 percent of overall U.S. power generation, though UCS says the share of unprofitable nuclear plants could grow in future years if the price of natural gas drops or the costs of maintaining older nuclear facilities rise. What do we gain by breathing some extra life into these plants? Proponents say “zero-carbon emissions.” That’s if we choose to ignore the emissions associated with mining and processing uranium, building nuclear power stations, managing nuclear waste, and — on those rare but horrific occasions — dealing with the consequences of a major nuclear disaster. Bailing out old, financially shaky nuclear plants is a short-sighted response to a huge challenge that requires much bigger, much more transformative thinking. Instead, we ought to invest big in our leading zero-carbon alternatives — solar and wind — which offer far cheaper electricity and, unlike nuclear, have life-cycle costs that have steadily dropped over the past several years. Setting aside the questionable economics of boosting the bottom lines of unprofitable power plants, how would we determine if a nuclear plant is “safe”? The UCS recommends that we rely upon the Nuclear Regulatory Commission’s five-tier performance matrix, and offer financial support only to plants that have earned the NRC’s highest rating. In 2002, the Davis Besse Nuclear Power Station in Ottawa County, Ohio, enjoyed that rating, but in March of that year, its reactor vessel — which contains the nuclear reactor coolant and shrouded reactor core — was found to be a fraction of an inch away from a potentially catastrophic rupture. Years of undetected corrosion had worn a football-sized hole in the vessel wall. Hundreds of thousands of people in Central Europe and Japan didn’t fare so well in the nuclear safety lottery. 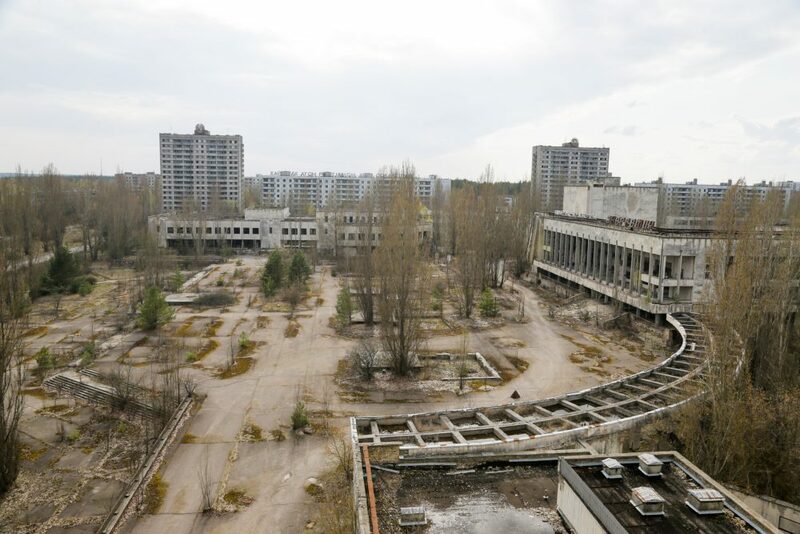 Following the Chernobyl disaster in 1986, some 350,000 people were evacuatedfrom parts of Ukraine and Belarus, and to this day 1,000 square miles of territory remain off-bounds to human habitation. In Japan, some 100,000 people had still not returned home five years after the March 2011 meltdown at the Fukushima Daiichi plant. Utterly different circumstances precipitated these two nuclear disasters, as well as the earlier meltdown at Three Mile Island, but all three proved the statistician’s axiom that rare events do happen. And then there’s the question of security at nuclear plants. Shortly after the 9/11 attacks on the World Trade Center and the Pentagon, word got out that unnamed nuclear plants were on al-Qaida’s list of potential terror targets. This was particularly alarming to people living near the Pilgrim power station in Plymouth, Massachusetts, situated on the flight path of the hijacked planes departing from Logan Airport. Bailing out old, financially shaky nuclear plants is a short-sighted response to a huge challenge that requires much bigger, much more transformative thinking. Suicide air attacks were one concern post-9/11; saboteurs carrying rocket-propelled grenades and other portable weapons were another. To help plant operators prepare for potential threats, the NRC increased the frequency of “force-on-force” mock confrontations with plant infiltrators. It also required plant personnel to be trained in the use of portable pumps, generators and other devices that could fill in for safety equipment knocked out by sabotage. Yet, at Pilgrim, this added training didn’t engender lasting vigilance. Diane Turco, executive director of the volunteer watchdog group Cape Downwinders, brought attention to gaping holes in Pilgrim’s plant security when she and another activist visited the plant unannounced in 2014. She explained to me how they walked by an empty guardhouse, down the plant’s interior roadway, and into the access control building, where they observed employees punching in their security codes. No one stopped them, questioned them or searched for weapons. In 2012, a member of the same group, Paul Rifkin, circled Pilgrim in a friend’s helicopter and took detailed aerial photos of the plant. He encountered no response from plant security, the FAA or the U.S. armed forces. To be sure, Pilgrim is not on the NRC’s list of star performers. Burdened by a backlog of operational problems, it will be shutting down next spring. That said, the security deficits plaguing this plant are, to some degree, a warning about the broader vulnerability of nuclear plants. We need to cut carbon emissions drastically if we are to have any hope of avoiding the very worst of climate change. Were there no better low-carbon electricity choices, groups like UCS might be on the right track in calling for a bailout of financially strapped nuclear plants. But we do have safer, more economically viable options. The National Renewable Energy Laboratory projects that renewable energy, combined with a more flexible electric system, would be “more than adequate to supply 80 percent of total U.S. electricity generation in 2050, while meeting demand on an hourly basis in every region of the country.” Keeping our least- profitable nuclear plants online is a distraction from meeting — or exceeding — this goal.